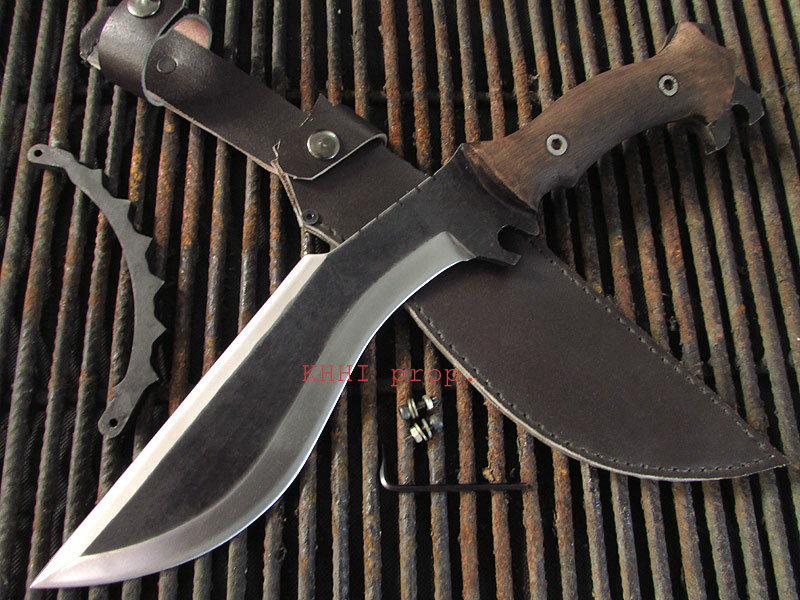 Battleman is both a lethal fighting knife and a very effective field knife ..
Battleman is both a lethal fighting knife and a very effective field knife. The detachable knuckle duster adds variation to the knife making it a destructive battle knife and/or a dominant utility knife in a just a matter of minute.. 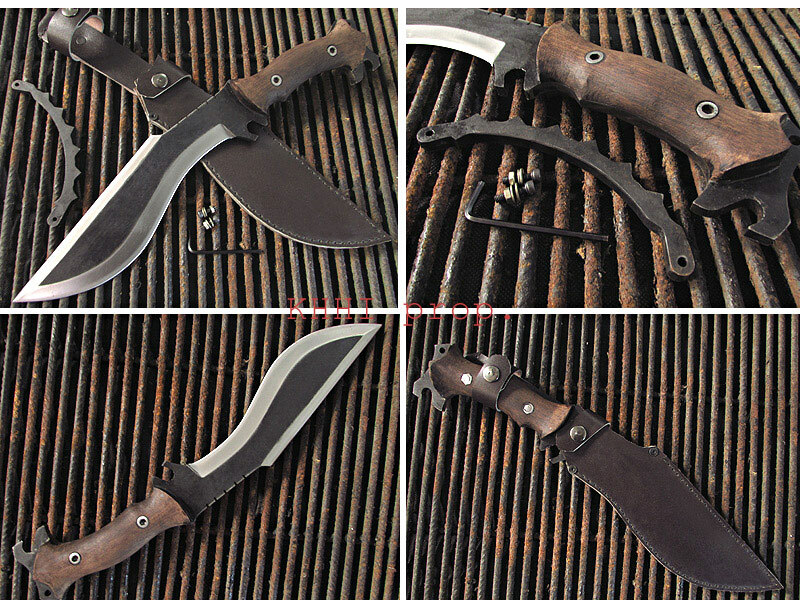 The Battleman is simultaneously a devastating fighting knife, and an effective field knife. It is equally at home building a survival shelter as it is raiding an enemy’s trench in the middle of the night. Much like the traditional trench knives made by soldiers in the first world war, the Battleman has a knuckle-duster for added punch. 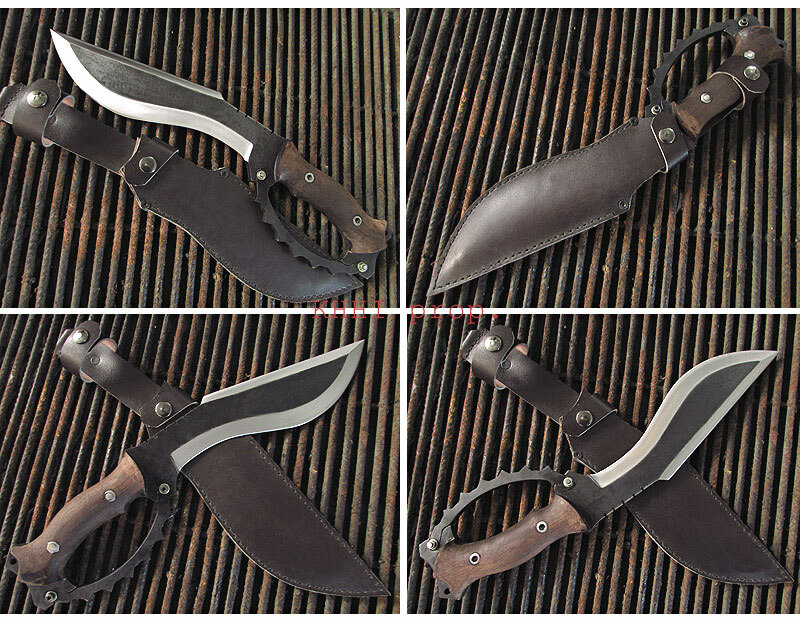 To make this a field knife, the knuckle-duster is easily removable. The unpolished blade helps prevent reflection in combat situations, and the full flat tang handle ensures it’s durability during field use. 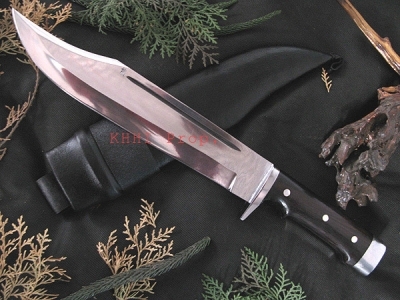 It also includes a full leather sheath, so that it can be drawn in silence, to maintain the element of stealth. It was my pleasure. 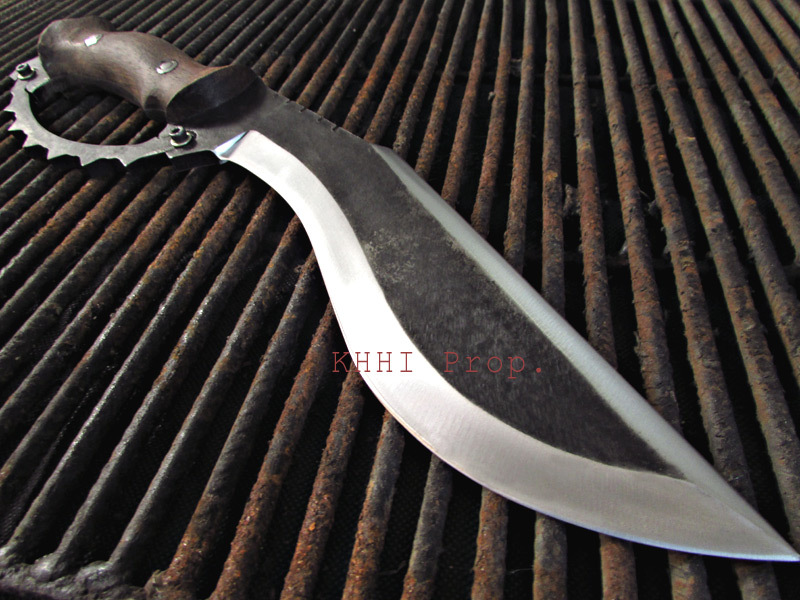 I have already bought two khukuris from you in the past and am pleased with both of them so I know I will get a very good quality knife that will do as I ask of it. 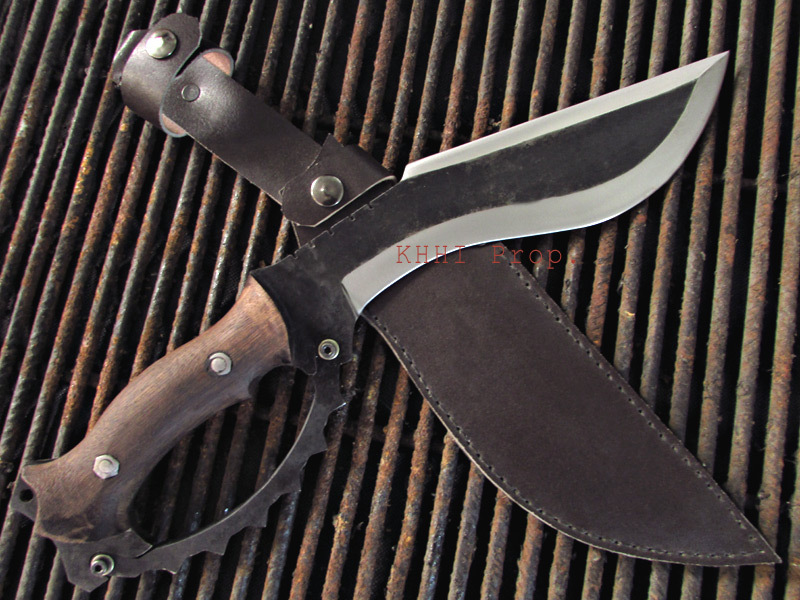 The Thanks should go to you and the craftsman who produce these excellent knives/khukuris.